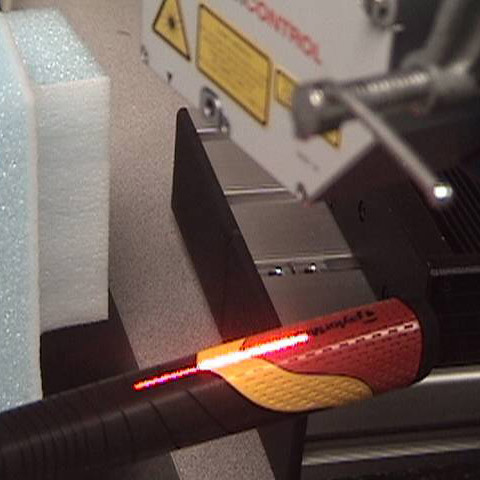 It is important for the production of golf clubs that the rubber grip is perfectly positioned on the shaft. The rubber grip must not only be completely on the shaft; the rubber must also not be twisted. The scanCONTROL 2800 is used for this measurement in the production environment.